Dispensing a different epinephrine auto-injector than what patients are prescribed and trained on could lead to patient confusion.1 Learn about other important considerations when dispensing epinephrine auto-injectors. 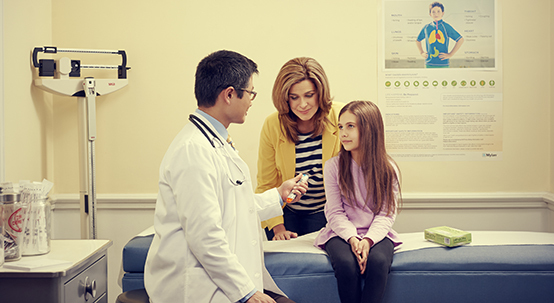 Find important information for school nurses, including details about the EpiPen4Schools® program, ordering free EpiPen® Trainers, creating a 504 Plan and a link to a step-by-step video to help train school staff. Learn what patients experiencing anaphylaxis are instructed to do after using their EpiPen® (epinephrine injection, USP) Auto-Injector or its authorized generic and how ED physicians may play a role. Ram FSF, Hoare K, Arroll B, Hoare S. Epinephrine self-administration in anaphylactic emergencies: comparison of commonly available auto-injectors. J Asthma Allergy Educ. 2012;3(4):178-181. Boyce JA, Assa’ad A, Burks AW, et al. Guidelines for the diagnosis and management of food allergy in the United States: report of the NIAID-sponsored expert panel. J Allergy Clin Immunol. 2010;126(6)(suppl):S1-S58. Lieberman P, Nicklas RA, Randolph C, et al. Anaphylaxis—a practice parameter update 2015. Ann Allergy Asthma Immunol. 2015;115(5):341-384.